We offer two amazing programs to help you afford the designer dress of your dreams. Find out more below! Paying for a wedding is a HUGE financial commitment. How great would it be if you could pay for your gown with an installment plan and still take it with you today, instead of paying in full? Introducing….Square Installments…convenient monthly payments so you can make “the one” yours! You’ve committed to your man, now commit to your gown! 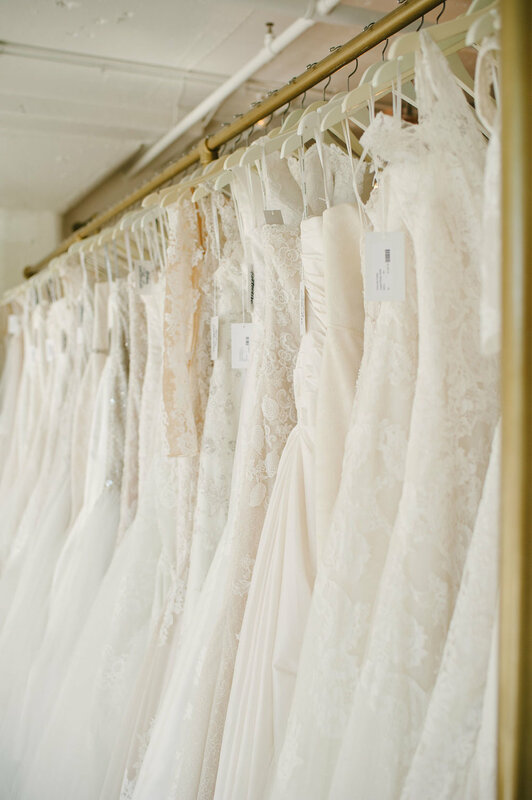 We want to reward you for finding “the one” and committing to your gorgeous designer gown on your first visit. Join our exclusive group of brides who are VIP members of the #CollectiveClub and aren’t afraid to fall in Love at First Sight and say “yes!” to the dress without hesitation. a mini bottle of bubbly, courtesy of Perrine’s Wine Shop, and a 10% discount on a wine purchase with them!